In the 2000s, many events were held here. Muscovites and visitors alike were treated to military parades on Red Square, flower carpets covering its timeworn pavers, as well as football, racing, skating, and rally competitions. 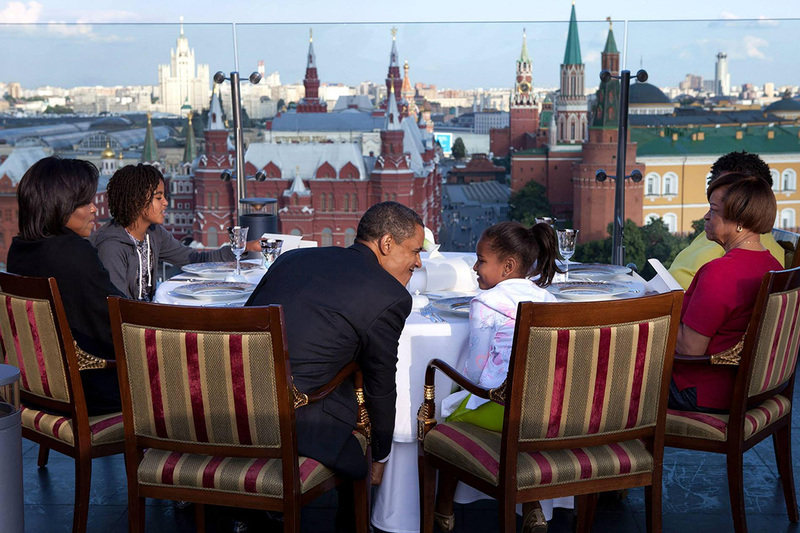 / U.S. President Barack Obama dining with his family on the roof of the Ritz Carlton Hotel with view of Red Square and the Historical Museum. July 7, 2009. We chose 10 photos to pay tribute to the Russian capital’s premier attraction – Red Square. Historically an important place, Red Square attracts tourists from around the world. Usually the landmark is full of sightseers taking photos. Standing with your back to the red building of the Historical Museum, on the right you see the Kremlin walls and towers with huge ruby stars rising majestically above the Lenin Mausoleum, straight ahead the kaleidoscopic domes of St. Basil’s Cathedral, and on the left the GUM Department Store, one of the oldest and most beautiful shopping malls in Russia. People with red communist flags queue to lay flowers at the Lenin Mausoleum. 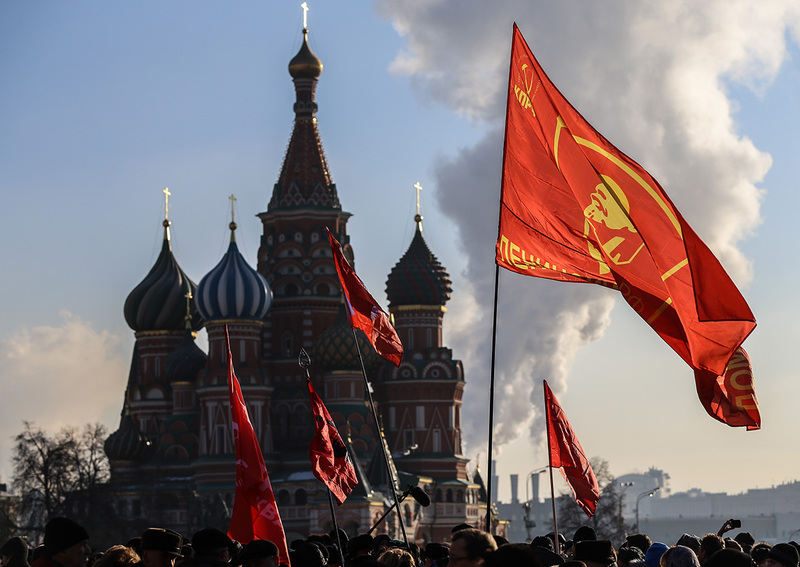 The event, marking the 91st anniversary of Lenin's death, was organized by the Communist Party of the Russian Federation. January 21, 2015. Russian children play soccer on an artificial playing surface on Red Square during the Champions League festival. May 17, 2008. 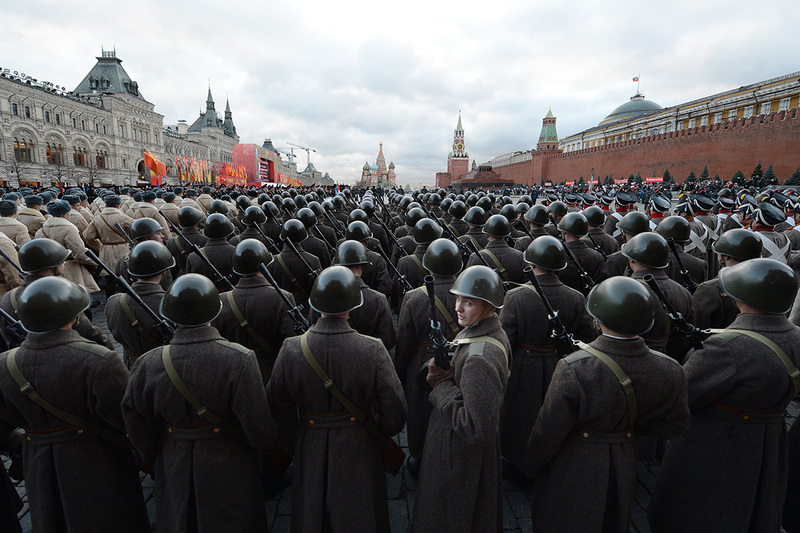 Wearing WW2-era Red Army uniform, Russian soldiers take part in a military parade on Red Square in Moscow on Nov. 7, 2012. That day Russia marked the 71st anniversary of the legendary 1941 parade, when Red Army soldiers marched straight to the front line from Red Square, as Nazi troops were just a few kilometers from Moscow. 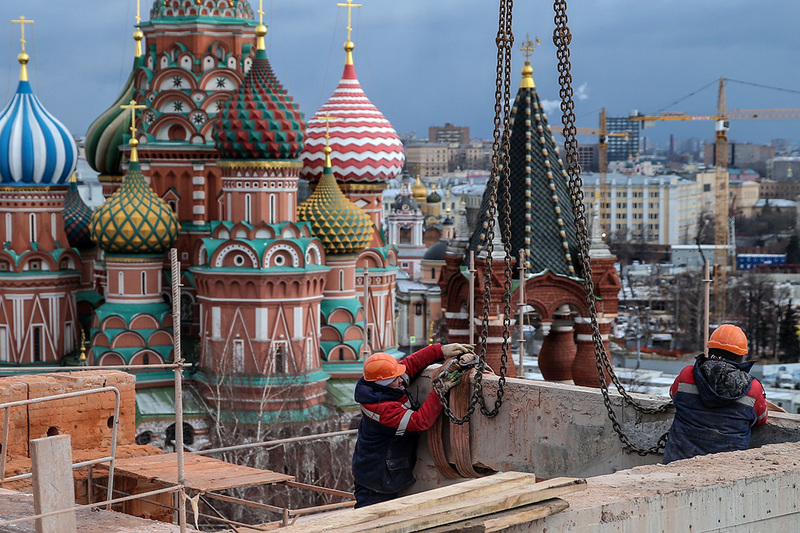 Workers seen between the Spasskaya Tower and the Senate Building of the Moscow Kremlin. Paul McCartney is projected on a giant display as he performs on Red Square in Moscow, May 24, 2003. 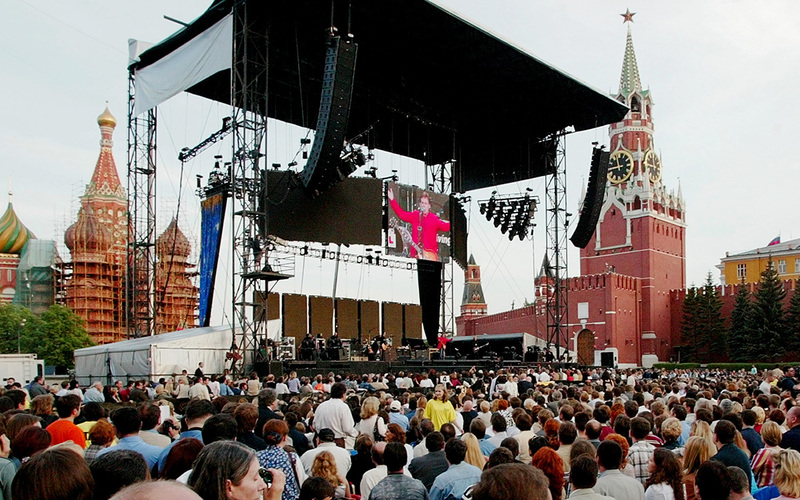 World famous stars have performed on Red Square, among them The Scorpions, Linkin Park, Red Hot Chili Peppers, Plácido Domingo and Russian rock band Mashina Vremeni (Time Machine). 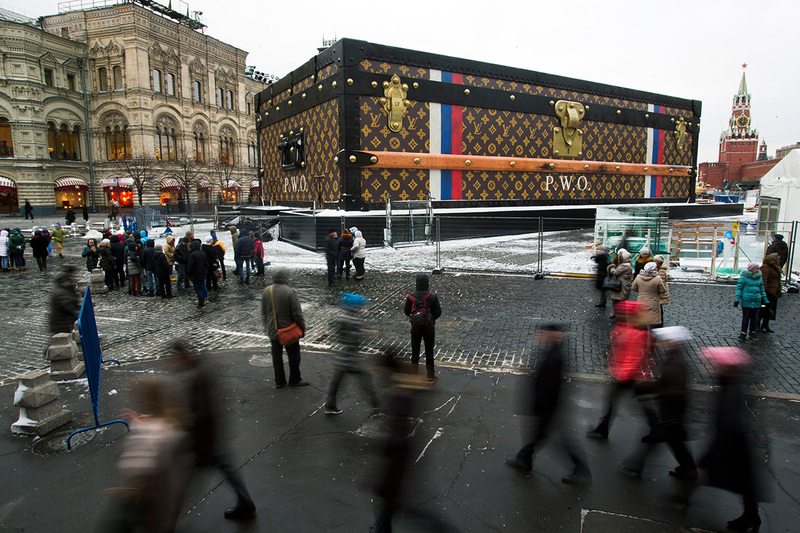 Tourists and visitors pass by a two-story Louis Vuitton suitcase erected on Red Square on November 27, 2013. 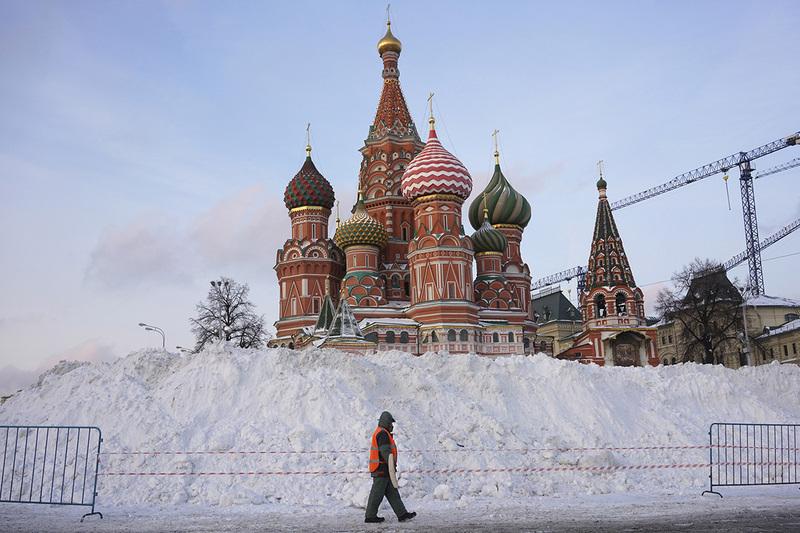 The 30-feet high and 100-feet wide trunk was soon booted off Red Square following the public's negative response to its appearance. A street sweeper walks past St. 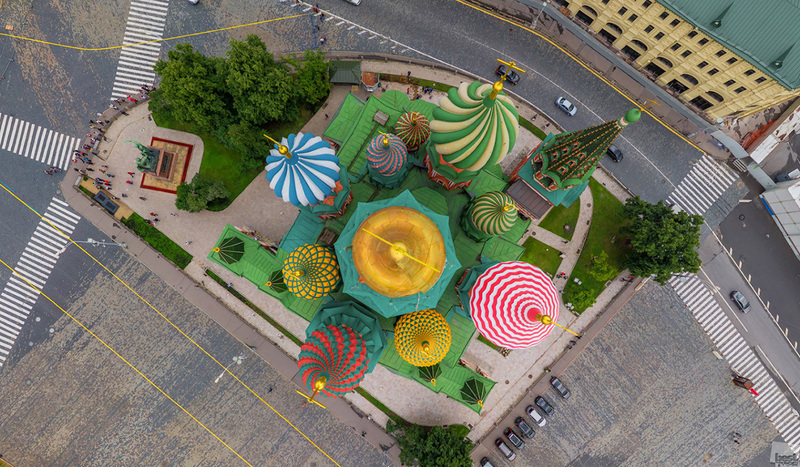 Basil's Cathedral on Red Square. January 15, 2016. 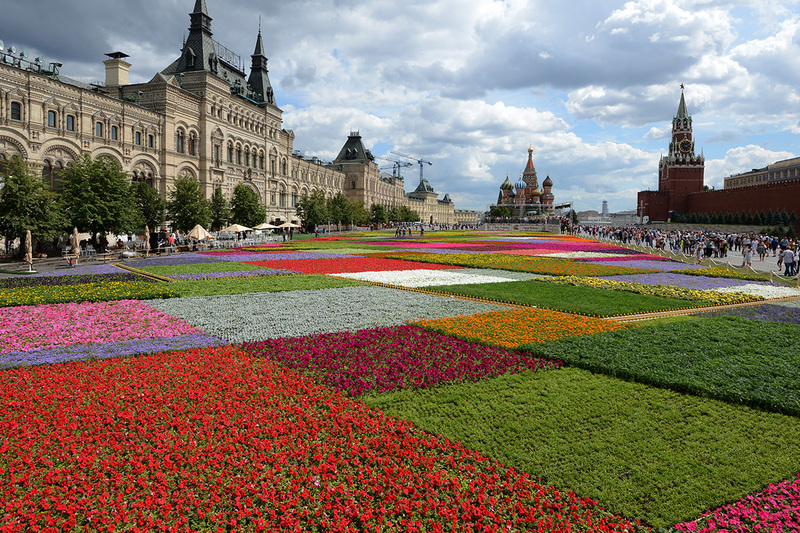 Moscow gets ready to welcome the Flowers' Festival on Red Square on July 19, 2013.